Posted in: Brewery, Business, Lansing History, People. Tagged: Abigail Rogers, Frederick Weinmann, Lansing Brewing Company. Local breweries and brew pubs have a long tradition in Lansing. The Lansing Brewing Company on the corner of Turner and Clinton operated between 1898 and 1914. Yeiter & Co. opened the Grand River Brewery on Madison overlooking the river in 1865. Their water came from an artesian well. Additional smaller breweries came and went during the late 19th century. Most of the description of the first brewery derives from two sources An Account of Ingham County from its Organization by Frank N. Turner and a Pioneer History of Ingham County by Mrs. Franc L. Adams. The accounts are nearly exact duplicates. Adams includes more editorial comment. She was the secretary of the Ingham County Pioneer and Historical Society and in addition to writing compiles other’s accounts adding her own comments and thoughts. Imbibing in the story of Lansing’s first brewery one travels to the NE corner of Pine and Maple Streets circa 1856. There is a spring fed creek crossing Maple and providing fresh water for brewing. Its source was deep in the “impenetrable” Bogus Swamp, a haven for miscreants, now the Westside Neighborhood. There are two buildings. A long porch faces east off a one and a half story residence. This porch is for the public house addition to the home and overlooking the beer garden in a stand of maples. Adjacent to the north is the brew house, east of that a “young forest of hop poles”. The proprietors were Frederick and Anna Weinmann. He was born circa 1822 and described as tall, “full of energy and hard work”. Anna was about 7 years his junior, “short and sturdy”. They had several children and emigrated from Württemberg Germany. With a large German population in town business thrived. The problem was the new neighbors. In 1858 across Pine from the brau haus a school opened. Sisters Abigail and Delia Rogers moved into the new location of their Lansing Female Seminary, later the Michigan Female College, the Odd Fellows Institute and eventually the Michigan School for the Blind. The Rogers sisters, Abigail especially, are recognized as part of the First Wave of the Women’s Movement. Pioneers in women’s education and the Temperance Movement the sisters catered to the wealthiest and most influential families in the state. Apparently they did not celebrate the only entrance to their institution serenaded by lusty Germans in “harsh guttural tones” or smelling of pigs, tobacco and beer. The Rogers were equally well funded and connected. In our first installment we learned the Weinmann family emigrated from Germany and set up the first brewery in Lansing. Business appeared to be going well until a full funded Female Seminary opened across the street. Evidence contradicts this narrative. The Michigan State Gazetteer and Business Directory of 1863 lists Fred Weinman[n] as a brewer. Abigail Rogers passes from this world in 1869, soon after State Agricultural College, now MSU, admitted women, followed by U of M in 1870. The Michigan Female College soon closes. The 1870 Federal Census states Weinman[n]’s occupation as brewer in Lansing’s fourth ward. By 1873 the Female College building had become the Odd Fellows Institute and Weimann is listed as operating a saloon and restaurant on Turner Street near Grand River (then Franklin). The 1874 County Atlas of Ingham clearly shows the brewery, calling it and the owner by name. The spelling is changed to Wineman. The 1878 Lansing City Directory lists Frederick as a brewer on Chestnut, directly around the block from the Pine address, but the same location for the still operating Weinmann Brewery. Why the conflicting data? Partially this could be an echo chamber [One purveyor of information will make a claim, which many like-minded people then repeat, overhear, and repeat again (often in an exaggerated or otherwise distorted form) until most people assume that some extreme variation of the story is true. Wikipedia]. Many county histories and locally written pioneer accounts borrow heavily from earlier sources and from oral tradition. Both can be valid, sometimes they are not and often are unverifiable. It is a common theme in this genre, 19th and early 20th century local/county histories, that progressive, well educated, well-funded community leaders vanquish unsavory unintelligibles. Often elements of Tall Tales seep in reinforcing a specific community cohesiveness. This narrative demonstrates the pioneers were of high social status deriving from prominent families. Adams “imagines” a scenario where Abigail Rogers converses with Weinmann. She derogatorily refers to beer as a “plebian” drink, referencing her ancestors drinking “New England Rum”, the connotation being rum as the more refined option. In this instance the answer for misleading information may also be propaganda. In 1923 and 1924, the year’s of Adam’s and Turner’s respective publications the United States was in the third and fourth years of the 13-year-run of prohibition. What these historians were musing about was contraband. No explanation is provided if temperance was an issue why rum is better than beer. More sinister is the characterization of the immigrant Weinmanns as unable to compete intellectually. The overall theme of both articles, copied word for word in many places, is patronizing. Nativism surged in the 1920s. WW1 heightened prejudices against Germans, making them a common target. 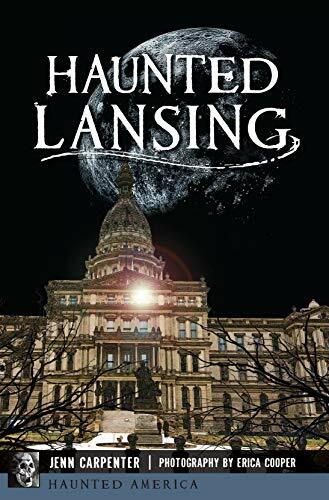 The relationship of Lansing with its German immigrants was complex. There was a high percentage of Germans, four German churches and a very popular mayor in the teens Gottlieb Reutter, was a German immigrant. The Klu Klux Klan reemerged strongly in this period, and prominently in Mid-Michigan with anti-immigrant rhetoric. This article in no way suggests the previous authors agreed with the Klan’s sentiments. However, the political climate of the time allowed for some of the largest Klan rallies ever. Labor Day 1924, saw a Klan parade in Lansing of 15 thousand and Klanvocation of nearly 50 thousand Klan members and supporters. The true relationship between the Weinmanns and Rogers sisters may never be known. The German language was taught at their school. Possibly they had a cordial rapport. Adams’ “imagine[s]” Rogers describing “the smell of…sauerkraut disturbed her digestion”. The Rogers sisters may have enjoyed homemade sausage and sauerkraut available across the street. It is known Abigail Rogers’ legacy grew. She was inducted into the Michigan Women’s Hall of Fame in 2007. Weinmann descendants continue to populate the Lansing area, and the creek which fed their pioneer brewery still exists. It is now a storm drain running the same approximate course; a cement bottom and expanded culvert under Walnut were constructed in 1884. In City of Lansing documentation this amalgam of natural waterway and human engineering, once described as “the finest and most substantial work of its sort in the city”, still bears the name Weinmann. Posted in: Brewery, Business. Tagged: Capital Brewing Company. Ok time for a short break from Lansing Illustrated 1889 series. In 1907 a new brewery was planned for the city of Lansing. Many prominent men in Lansing were involved in the planning and finance of this new company and in less then 30 days the dream was gone and the business was never started. On November 5 1907 the Lansing Journal announced that a new brewery would be formed in Lansing with a capitalization of $150,000 of which $75,000 was already collected. The officers of the company were President, John H. Algate, Vice President, G.H. Ziegler, Secretary, C.J. Prost and Treasurer, Henry Russell. They assisted by Alexander A. Fordon of Detroit who was to be the manager of the new company. The brewery was to have a capacity of between 25,000 and 30,000 barrels a year. Later in November the Lansing Journal announced that the brewery would be located on the southwest corner of Washington Avenue and South Street, and would have a frontage on Washington Avenue of 124 feet and 144 feet on South Street extending to the banks of the Grand River. President Algate announced that an agreement had been reached with the property owner, Herbert E. Johnson. The Brewery was to be four stories with an artificial ice plant and cooperage; it was to be a miniature Anheuser Busch plant. Ground was to be broken in March 1908. Later on December 19, 1907, new Board of Directors and new officers were elected for the Capital Brewing Company. The new Board consisted of, G.H. Ziegler, Herbert E. Johnson, C.J. Prost, H. Russell and A.A. Fordon. The new officers were President, G.H. Ziegler, Vice President, Herbert E. Johnson, Secretary, C.J. Prost and Treasurer, Henry Russell. There is no indication why John H. Algate was removed from his position. The last mention we have of the brewery was in the State Republican 12/24/1908, which stated that another $15,000 in stock was subscribed, the greater part going to local persons. Just why wasn’t the brewery built has eluded me. It may have been a result of the Panic of 1907, a severe monetary contraction, due to a run on the Knickerbocker Trust Company in October of 1907 which resulted in the failure of many state and local banking institutions. Coming soon a History of Lansing early breweries. John H. Algate listed as a carpenter in the 1908 City Directory. Gottlieb H. Ziegler is listed in 1908 as being a dealer in hides and furs. In 1908 Charles J. Prost ran a sample room, a beer saloon. Henry Russell was running City Bottling works in 1908. Mr. Fordon is listed in the Detroit Blue book and seemed to have been an inventor. The State Republican 11/5/1907 confirms all of the above information. Block 194 lots 1-2. See LJ 11/18/1907. Herbert E. Johnson was a real estate agent.